“Are they always one fight away from not speaking again, or one kiss away from true love?” When Levi moves from California to Wisconsin, he’s the new kid. When Macallan is assigned to show him around school, she’s shy but he’s excited. Later Levi is alone at lunch but Macallan invites him to sit with her friends. After a couple of months hanging out together every Wednesday, sitting together at lunch and sharing the love for the same things they realize they have changed each others lives. 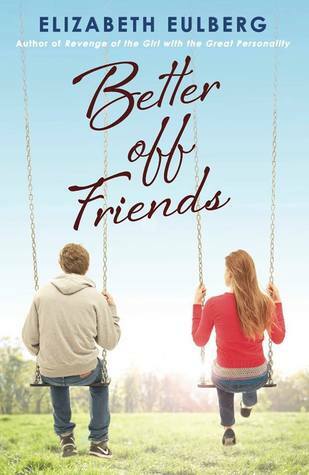 “Better off friends” by Elizabeth Eulberg, is an enlightening book about two best friends and their journey to becoming more than that. As they discover what it is to be friends, they face major challenges throughout the years.